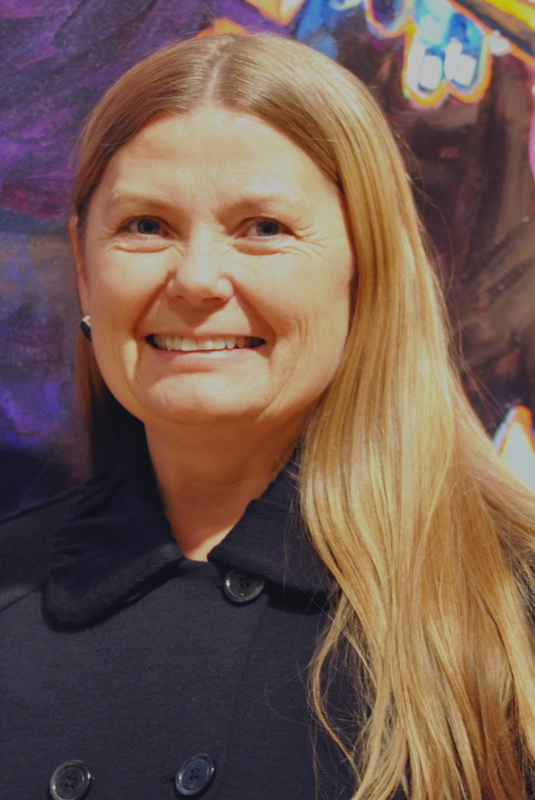 “There’s no artwork without work,” says Kathy Cieslewicz, curator of the Sears Art Museum at Dixie State University (DSU) and a devoted advocate for the advancement of Utah’s arts. “It’s my job, but it’s also my life,” she says. Cieslewicz’s career as an art educator began in the basement of her family’s Riverton home, where she taught oil painting to small classes. She later set up shop at the old Fairview Elementary School in Sanpete County. The floor was warped, the ceiling dangerously close to crumbling down, and she would have to shovel a path to the door for students during the winter. Still, she stuck it out. Born and raised in Provo, Cieslewicz eventually settled in southern Utah with her husband, Paul, and their seven children, after bouncing around Salt Lake and Sanpete counties. She went back to school at DSU (then called Dixie State College of Utah) and eventually earned an art degree from Southern Utah University. With Cieslewicz at the helm since the summer of 2004, the museum’s permanent collection has been significantly expanded, along with its presence in the regional art scene. Sears hosts six exhibits each year, in addition to the Sears Dixie Invitational Art Show and Sale on Presidents’ Day weekend. This year, the popular event showcased 125 artists and 230 works. Cieslewicz has been instrumental in developing The Business of Art, an annual weekend symposium in Kanab, where she serves as director and a presenter. The conference is intended to provide artists with the resources and know-how to help them sustain a career in the arts. Nearly 150 emerging and established talents, most from Utah, attended last fall. Cieslewicz also created Women Out West: Professional Artists of Utah as a forum for female artists to make connections and create art. In partnership with the Thunderbird Foundation for the Arts, the group holds a retreat each summer in Mount Carmel. She is compiling images and anecdotes from these trips for a future book. She continues to teach a variety of subjects, including art history, drawing, oils, watercolor, and 2D design, at Arizona’s Mohave Community College, where she joined the staff in 2006. An accomplished artist in her own right, Cieslewicz works primarily with oils, pastels, and watercolors, but also enjoys the social aspect of printmaking. The St. George Art Museum has commissioned her to produce three different installations, and she designed the sculpture garden just north of the Eccles Fine Arts Center on the DSU campus in downtown St. George. She holds a slew of honors and awards, and her work has been displayed at the Springville Art Museum and in galleries in New York and throughout Utah. Most of Cieslewicz’s work takes place behind the scenes, but she will be recognized with the Governor’s Leadership in the Arts Award on Thursday, May 7, during the Mountain West Arts Conference in West Valley City. Each year, four recipients are honored for organizational, educational, local, and individual accomplishments; she was nominated in the latter category. The awards are administered by the Utah Division of Arts & Museums. Cieslewicz says that when she received the news, she had to take a few minutes to “figure out what it really meant.” She is familiar with the work of past recipients, among them A. Scott Anderson, Teri Orr, Wally Bloss, and Shirley Ririe, and says she can’t believe that her name will soon be mentioned in the same breath. This is wonderful. I am so glad Kathy has received this recognition. She is an amazing individual, wears many hats, is always pleasant and fun to work with. Kathy’s vision, energy and organizational skills are amazing. What she achieves in bringing together artwork from all over the state in the Sears Museum show is remarkable. A can-do gal! Congratulations to her on this award, well deserved. She is Champion of the Art World of Utah. She deserves to be recognition She has received! Being just a Starving Artist of Printmaking, & Watercolor. Thanks, for all you have done. Tim Dorny Peterson U of U 1991 BFA —-Thank You!